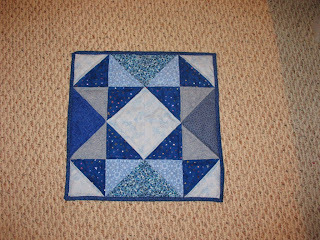 My beloved grandmother enjoys creating more blocks than she needs for a project. She then gives many of them to me for me to play with. 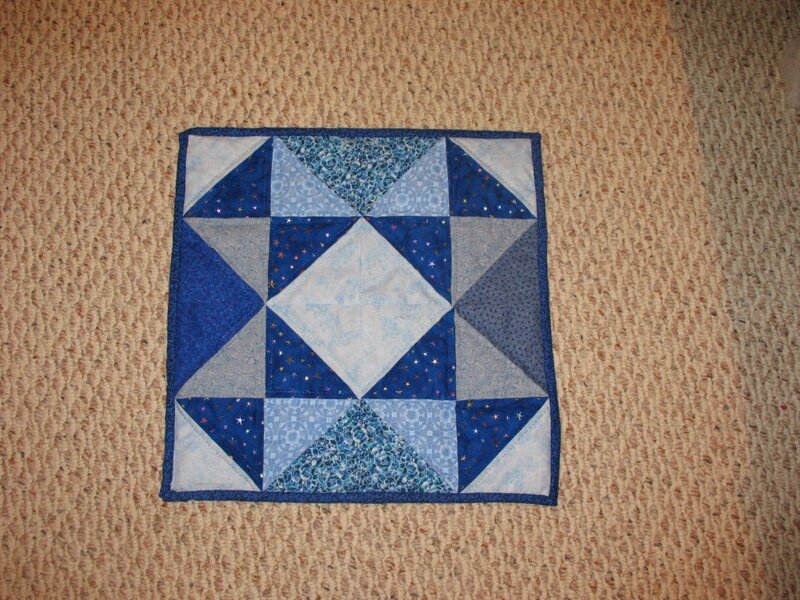 I made this wall hanging from the first such care package to go in my sewing / spare bedroom. It matches the blue Storm at Sea she gave me for my birthday several years ago.